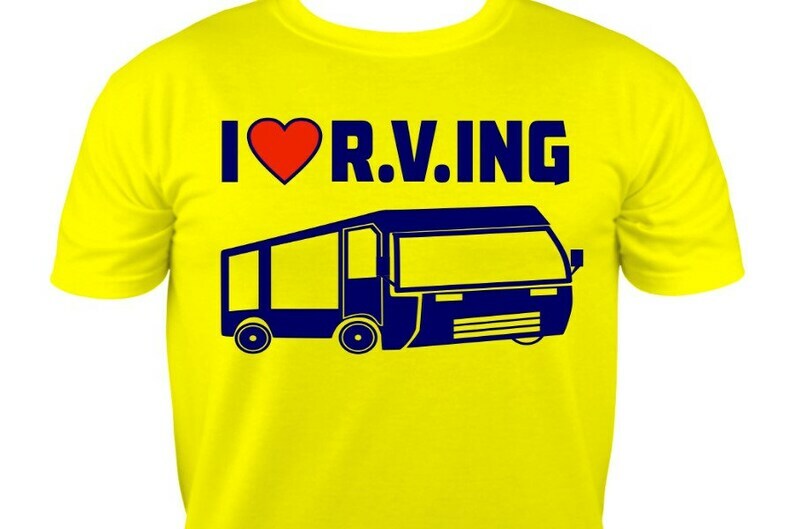 Going RV'ing? Not without this stylish shirt. Available in three colors for your convenience. This design is approximately 12.3" Wide x 9.5" Tall.